Boxed gang of Mountain Men including special rules card and bases. Models supplied unpainted. You need a copy of The Curse of Dead Man's Hand to use this gang. 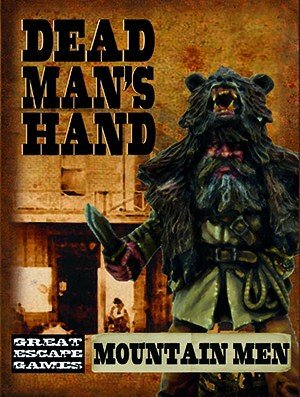 These reclusive men rarely venture into town but now have become more frequent visitors using their talents to hunt the ungodly creatures victimising Dead Man’s Hand.